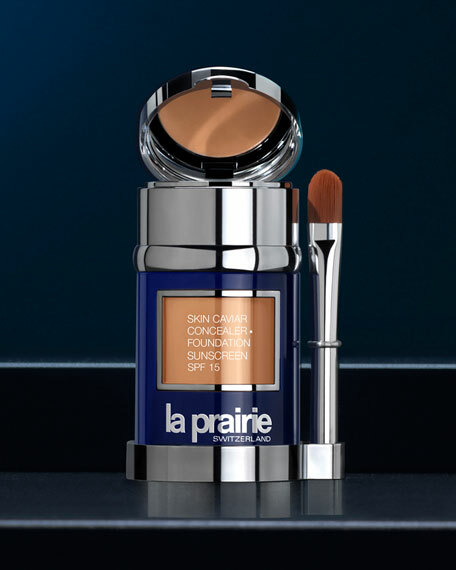 Skin Caviar Concealer and Foundation Sunscreen SPF 15 is a luxurious cream emulsion that offers full, yet natural-looking coverage. The exquisitely matched concealer camouflages under-eye darkness and deeper flaws. 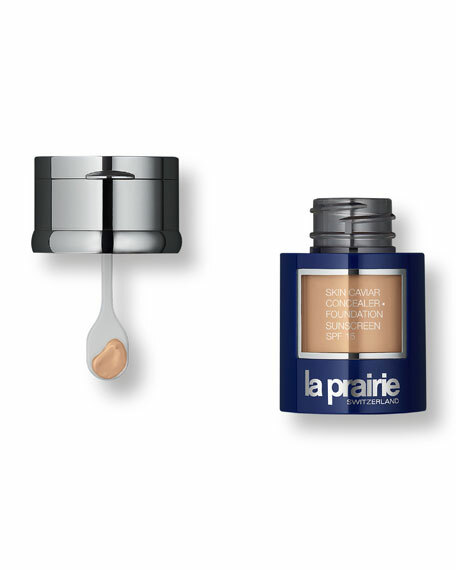 Both formulas support firming with legendary caviar extract. A brilliant fusion of skincare and cosmetic artistry, Skin Caviar Concealer Foundation Sunscreen SPF 15 is the foundation of perfection. Also includes a 2x magnifying mirror in the cap, a foundation sponge and precision concealer brush. Determine skin undertone: what jewelry looks best on you? Shake well before applying. Smooth and blend with foundation sponge for desired coverage. Coverage may be built by adding another light application as needed. Pat concealer onto skin with fingertip, over foundation. 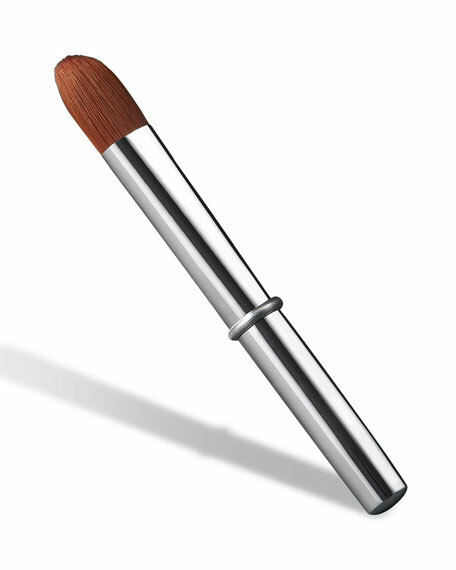 Use the concealer brush to blend away edges, or apply prior to foundation and blend with precision concealer brush. For in-store inquiries, use sku #1591115.